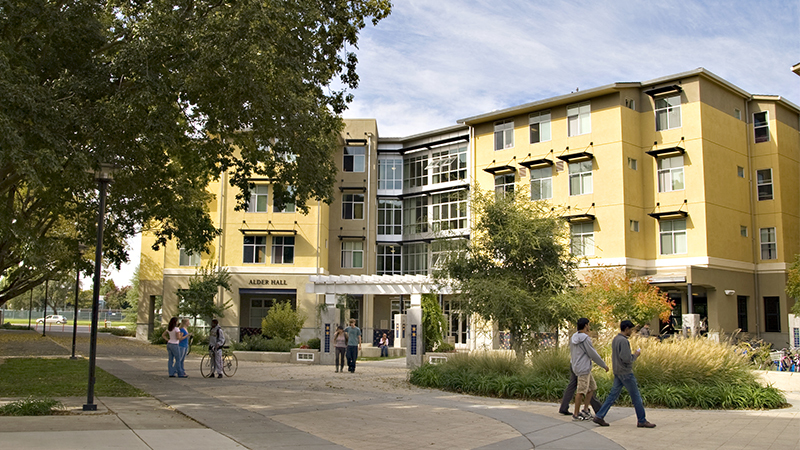 UC Davis is a big place with thousands of acres and more than 35,000 students. And, in part because of that, it offers lots of opportunities to find your community and make the campus your home away from home. Chill with friends old and new, study, and work together on issues at our student centers. 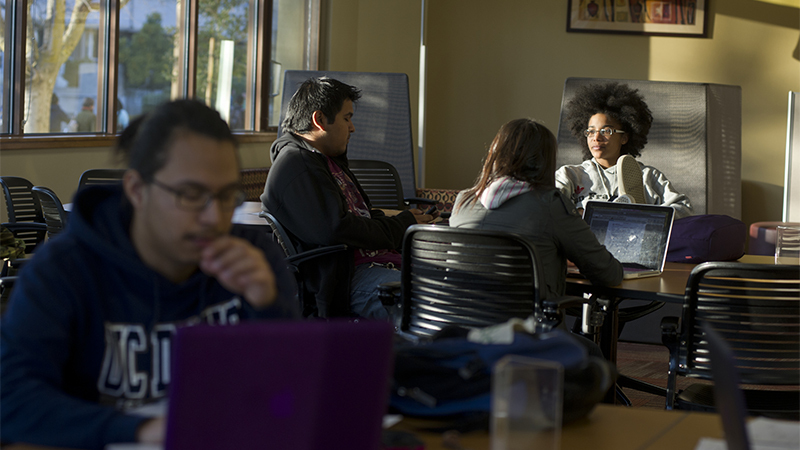 UC Davis recently opened a center for Native American students at University House and an interim office for Strategic Chicana/o and Latina/o Retention Initiatives is coming. The Center for African Diaspora Student Success opened its doors in 2015 and the AB540 and Undocumented Student Center was established in 2014. The Lesbian, Gay, Bisexual, Transgender, Queer, Intersex, Asexual Resource Center and the Women’s Resources and Research Center have long been on campus. 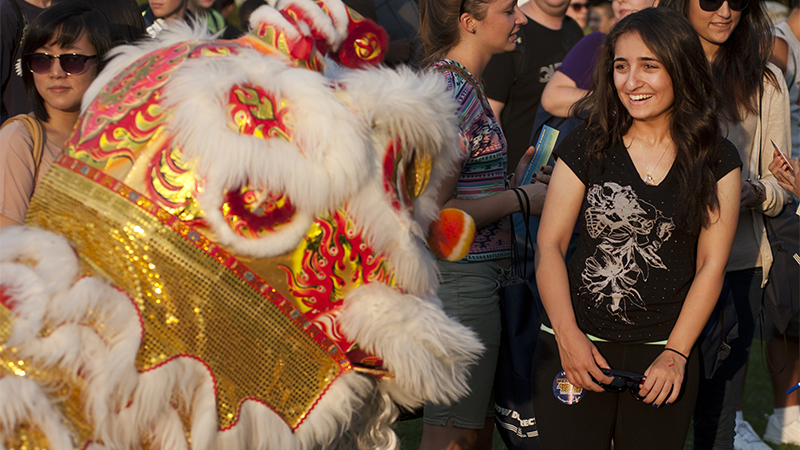 Find a home in the Living-Learning Communities of our residence halls. These 15 optional programs bring together interested students and host activities on a variety of themes. Open to all students, they include the African American and African Community, Asian Pacific American Theme House, Casa Cuauhtémoc (Chicano-Latino) Theme House, Middle East/South Asian Multi-Ethnic Program, Native American Theme Program and Rainbow House. Others gather around interests in entrepreneurship, major and career exploration, engineering, health and wellness, the arts and the University Honors Program. Some have optional seminars for academic credit. 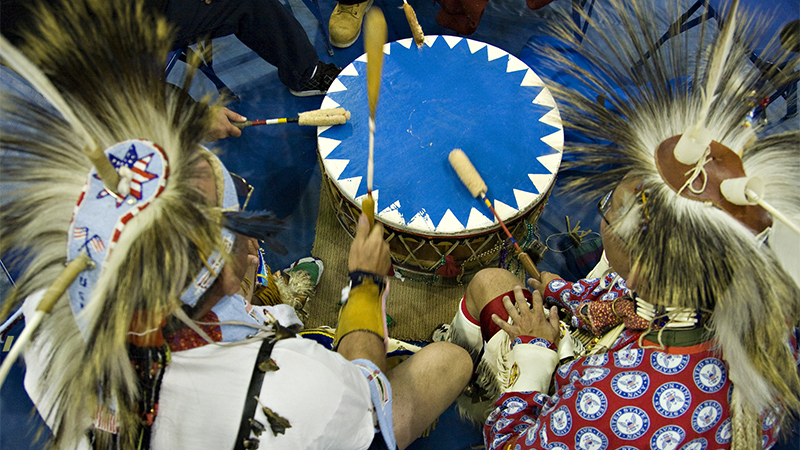 Convocation kicked off a yearlong theme of "Inspiring Dialogue and Community." Sometimes, it can be hard to see beyond differences. The theme of "Inspiring Dialogue and Community" that began at this year's convocation will help us live out our Principles of Community, an aspirational statement of campus values. 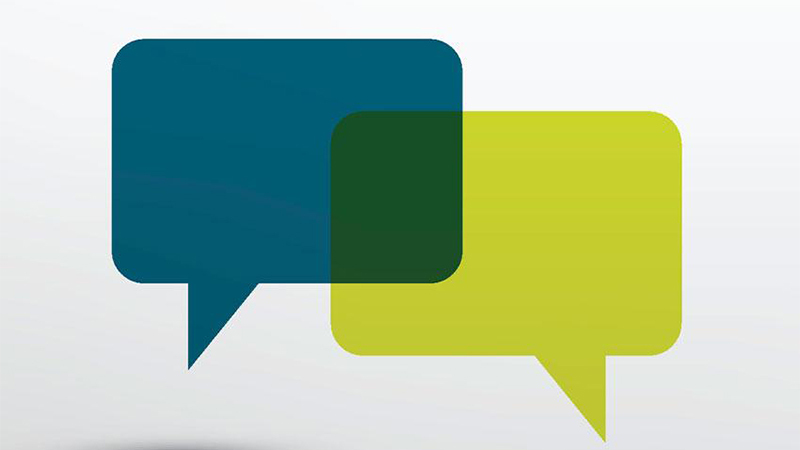 Among a series of programs is a 90-minute workshop to help participants consider how to respond to a comment, look or action that triggers anger, hurt or offense. The Office of Campus Dialogue and Deliberation offered "Choices in the Heat of the Moment" in October, and more dates may be added. The Lesbian, Gay, Bisexual, Transgender, Queer, Intersex, Asexual Resource Center hosted a National Coming Out Day Open Mic event on Tuesday, Oct. 11, and other events for Transgender and GNC (gender nonconforming) Awareness Day Oct. 19, Intersex Awareness Day Oct. 26, Non-Monosexual Awareness Day Nov. 15 and Asexual Awareness Day Nov. 29. The hundreds of student organizations on campus include dozens of ethnic and cultural groups — from the Chicano and Latino Engineers and Scientists Society to the Japanese American Student Society — and others focused on academics, community service, politics and recreation. Students, faculty and staff members mix it up in 27 different sports through Intramural Sports. And about 3,000 students belong to nearly 70 sororities and fraternities, where students bond as they pursue scholarship, leadership, service and community. Groups and organizations on campus also minister to the spiritual life. Check them out, because our student organizations welcome all interested students. UC Davis students have a tradition of making a difference. Through clubs, student centers and leadership programs, like the ME/SA (Middle Eastern and South Asian) Leadership Retreat, you can meet others who share your passions, develop your skills and make things happen. Our very own Cross Cultural Center had its roots in student activism. 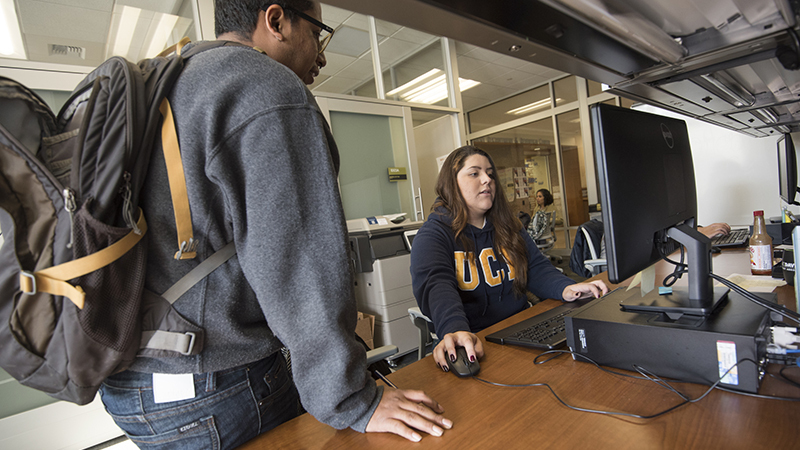 And the student-run programs and services of the Student Recruitment and Retention Center encourage students of historically underrepresented groups to pursue higher education and help them succeed at UC Davis. Our Beyond Tolerance Program provides up to $200 for student programs and events that encourage the appreciation and celebration of diversity on campus. One of the great ways to feel a sense of belonging is to serve in the community. In addition to working with a student organization, you can also get involved through the Community Service Resource Center at UC Davis. Part of the Internship and Career Center, it helps connect campus members with one-time opportunities and long-term commitments with international and local nonprofits. To get started, subscribe to a weekly listserv or check out the database of service opportunities.